When the Black-Capped Petrel flies over the sea at night, the wind passes over its wings, creating a sound that those fortunate enough to hear it describe as “flute-like.” Its nighttime calls have been characterized as eerie, like that of a cat hooting. Although the rare bird, with its white rump and collar, and of course, black cap, nests in Haiti and the Dominican Republic, its range includes the North Carolina coast. 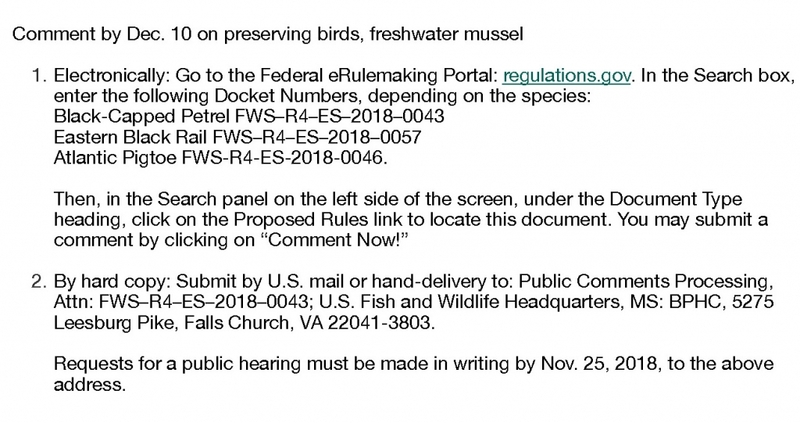 Now the US Fish and Wildlife Service is proposing to list the Black-Capped Petrel as threatened, along with the Eastern Blackrail and the Atlantic Pigtoe, whose native habitats include portions of North Carolina. The agency is accepting public comment on the plan through Dec. 10. A threatened designation means the species is likely to become endangered within the “foreseeable future” — 50 years — throughout all or a significant portion of its range, according to the agency.By designating the species as threatened, USFWS can then extend protections to their habitats, such as triggering environmental reviews and other analysis. Climate change, with its attendant flooding, temperature increases and projected sea level rise, are threatening the Eastern Blackrail, whose numbers have declined in some areas of the country by as much as 90 percent. The Center for Biological Diversity petitioned USFWS to designate the bird as threatened because it is also losing ground to “continued alteration and loss of wetland habitats, land management practices that result in fire suppression (or inappropriately timed fire application that may cause direct mortalities), grazing, haying and mowing, and impounding of wetlands,” according to USFWS. If the bird receives threatened status, certain activities, such as grazing on public lands, would be prohibited in its habitat during critical time periods, such as nesting and brooding seasons, and post-breeding flightless molt periods, the agency said. The Atlantic Pigtoe, a type of freshwater mussel, has been found, albeit in low numbers in the Chowan, Roanoke, Tar, Neuse, Cape Fear and Yadkin-Pee Dee river basins. North Carolina considers the Atlantic Pigtoe endangered/critically imperiled, as its habitat has been damaged by water pollution from sewage treatment plants, road runoff, and private wastewater discharges, as well as disrupted by dams. While these designations can help prolong the life of the species, the protections aren’t airtight. 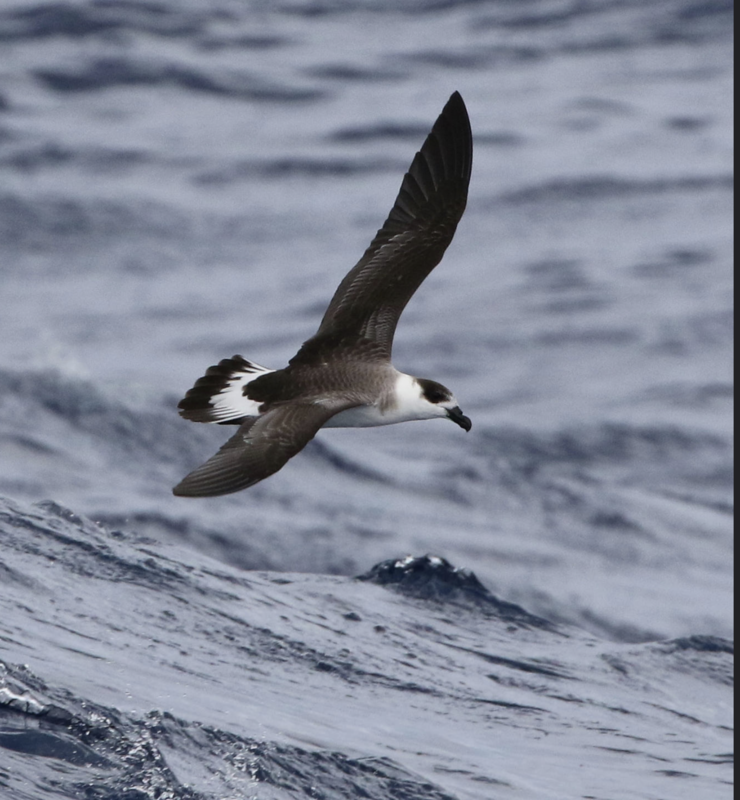 In the case of the Black-Capped Petrel, its primary breeding habitat is on several Caribbean islands, beyond the reach of US authority to control deforestation there. Here in the US, private landowners aren’t required to protect the species unless they are involved in projects that require federal funding or permits. And the agency can still issue “incidental take permits” if it determines a certain number of the species can be killed, for example, as the result of a highway or pipeline being built. As part of the Complete 540 toll road project in Wake County, USFWS issued incidental take permits for the endangered Dwarf Wedgemussel and the Yellow Lance Mussel, which live in Swift Creek. The Southern Environmental Law Center has signaled it intends to sue over those permits.